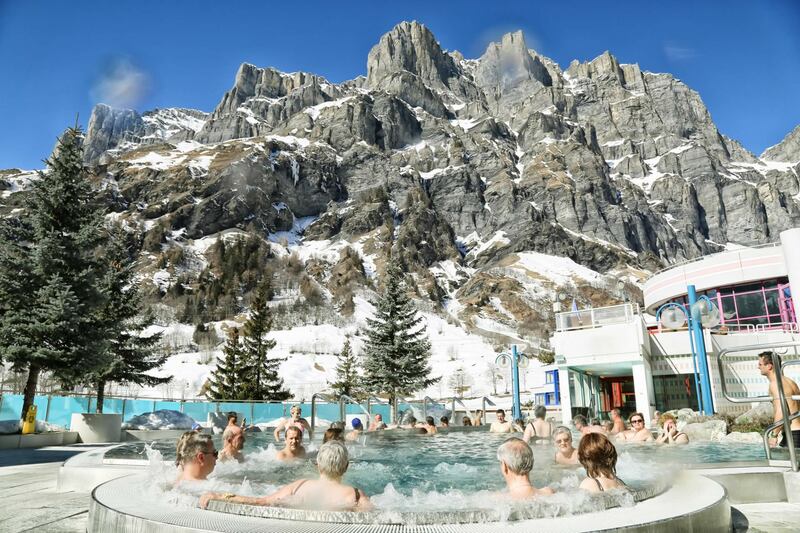 Public thermal baths Walliser Alpentherme & Spa Wellness temple with 2 thermal pools (indoor and outdoor), a RomanIrish bath, a Valais sauna village and numerous wellness treatments. Leukerbad Therme Largest thermal spa resort in the Alps with 10 pools, water slides (100 m + 120 m) as well as wading and kiddy pools with play equipment for children. Volksheilbad Spa, Wellness and Physiotherapy with a thermal pool with unfiltered thermal water and SPA infrastructure. Particularities The Leukerbad thermal water has a temperature of 51 degrees Celsius. 1411 meters above the sea the largest spring gushes out at the town square (St. Lorenzquelle). The water sinks down 3’000 meters in the Torrent massif before it emerges as thermal water in Leukerbad. Sports Summer more than 200 km of summer hiking trails, Mountain biking, Helsana Swiss running walking trails, monster scooters, rock climbing, via ferrata, adventure via ferrata, mountain tours, golf, minigolf, tennis, paragliding, swimming, Disc Golf. Winter 52 km of ski and snowboarding runs, 28 km of cross-country trails, 70 km of winter hiking trails, 18 km snowshoes trails, sledging, snowkite, curling, mountain tours, paragliding, swimming. Sports arena with indoor ice-rink, climbing wall, indoor pitch, billiards, spinning, 3 indoor tennis courts, 2 squash courts, double gymnasium, power training gym, football and athletics field. Swiss Olympic Training Base. 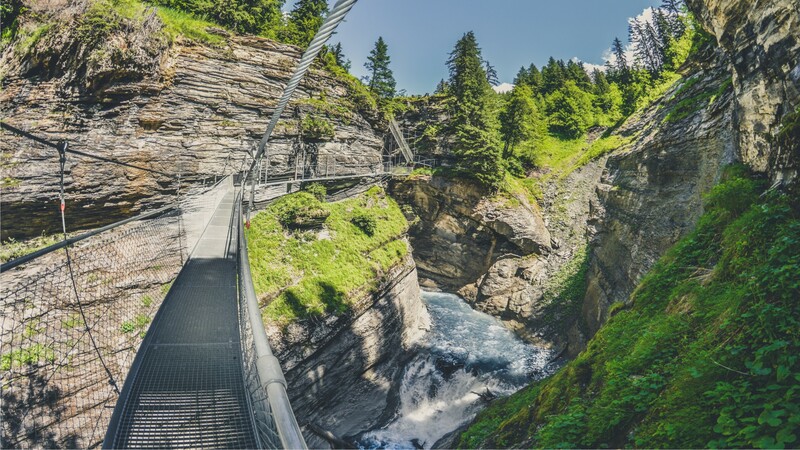 Theme trails Thermal spring trail, thermal spring path, via ferrata, adventure via ferrata, chapel trail, glacier trail (Lämmeren), variety garden in Erschmatt, Torrent ridge Trail. Ropeways Gemmi-Bahnen The Gemmi ropeways lead to the well-known Gemmi summer and winter hiking area, cross-country skiing, tobogganing, snow shoe trails. 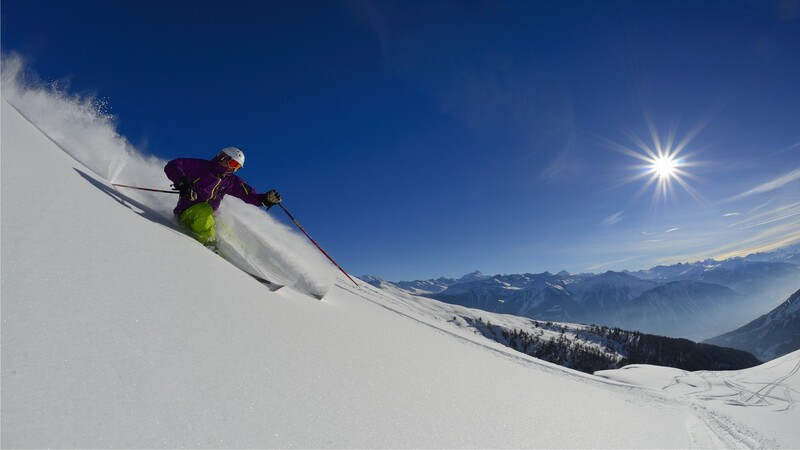 Torrent-Bahnen Ski and hiking paradise with a fantastic panoramic view over the Rhone Valley and the Fourthousanders of the Valais. Verkehrsbetriebe LLB Public transport system with regular connections between Leuk SBB – Leukerbad as well as the nearby villages. Local “Ringjet” bus. Villages in the region Inden last village before Leukerbad, baroque church, neat village shop, 110 inhabitants. Varen Wine-growing village with excellent wine cellars, well-known are the “Pfyfoltru-Wii“ wine and the wine festivals in autumn (Varen wine festival, Pfyfoltru wine festival). Leuk-Stadt/Susten former bishop’s residence, today historical buildings characterize the townscape of Leuk, with Susten nestling into the Pfyn nature paradise. Active cultural life. 18-hole golf course. Gampel legendary site of the up-and-coming Gampel open-air venue with the idyllic mountain villages of Bratsch, Jeizinen and Engersch. 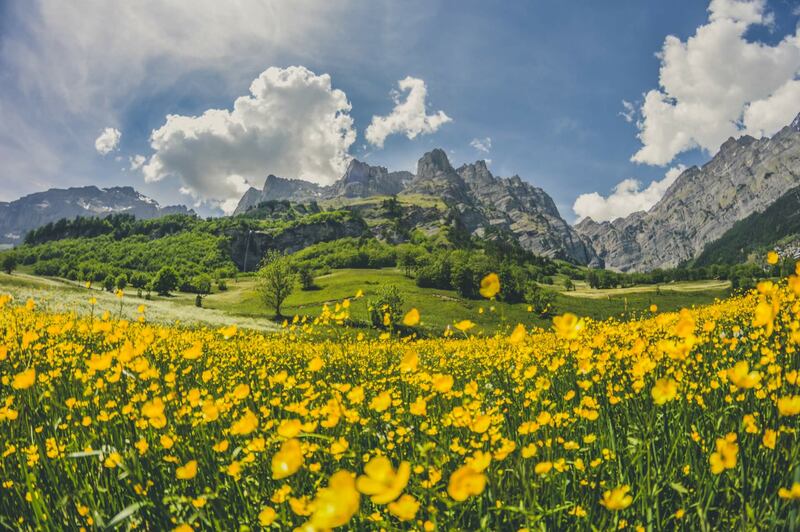 Albinen the most original of the Valais mountain villages with an extensive hiking and mountain biking area. Erschmatt place where they know all about rye, special original bread-baking courses and variety garden (400 varieties of plants cultivated in the Valais). Pfynwald: Natural and cultivated landscape with unique biotopes and unspoilt river land- scapes along the Rhone river, pine forest, ponds and scree slopes. Signposted hiking trails. 2nd century AD evidence that settlements have existed in the Leukerbad area for two and a half thousand years. 5th century AD Burgundians occupy the Dala Valley. up to 1200 The Gemmipass is crossed. Leukerbad becomes part of the town Leuk. 1315 The oldest document in the Leukerbad municipal archives; the town is now independent. The baths are mentioned (via, qua itur ad balnea). 1478 The mineral water springs and baths became the property of the bishop of Sitten (Jost von Silenen). The first inns are established. The place gets a new Name: Balnea leucensia, thermale leucenses or “Baden”. 1484 Construction of a parish church began. Beginning Paracelsus describes the thermal springs of Leukerbad. XVI century 1501 The bishop Cardinal Schiner acquires the rights to the baths and publicises them during his travels. Tourism of the baths flourishes and the German language predominates. 1518 An avalanche destroys Leukerbad (61 dead). Leukerbad is quickly rebuilt. Many descriptions of the hot springs for example by Stumpf, Sebastian Münster and others are published. 1556 Baths for the poor are built. (Today known as the Volksheilbad). 1563 Thomas Platter and his son Felix stay at the hotel “Bären”. XVI century 7 avalanches destroy Leukerbad. The town is discouraged. Visitors are no longer coming. The ownership of the baths gets to the Werra family (“Werrabad”). Construction of the “Weisses Haus” (Plaschy) This house is now known as the “Lindner Hotel Maison Blanche”. 1682 The community acquires the ownership of the thermal baths. 1719 Another avalanche destroys Leukerbad. It is rebuilt on the right side of the Dala. (“zur Gasse”) and below the church. The Russian scientist Mazomousky publishes a geological treatise on Leukerbad. 1829 An avalanche wall is built on the village (engineer is M. Venetz). Another protection wall with the engineers Zen-Ruffinen, Loretan (since then the village has not been touched by avalanches). 1850 Opening of the road to Leukerbad (the village has a population of 577). 1865-1875 Construction of a hospital for the poor (today’s Volksheilbad). 1889 Opening of the first electric power station in the Valais. 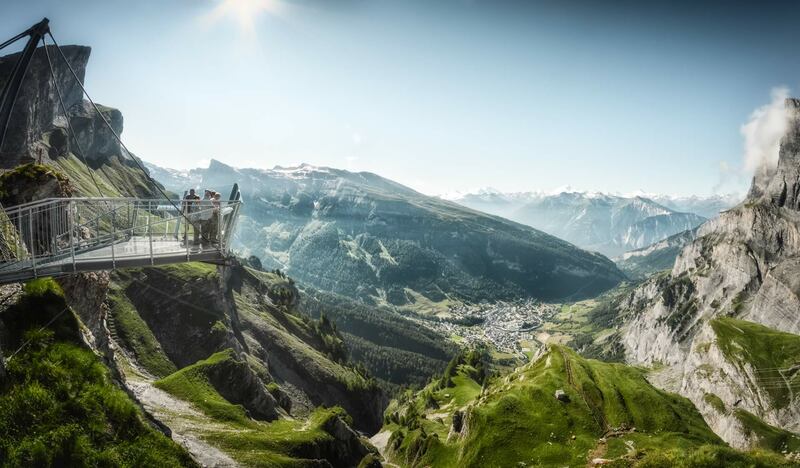 1895 Rates: by horse to Kandersteg CHF 20.- porter to Kandersteg CHF 10.-, Gemmi Pass CHF 4.-. 1896 Establishment of the hotel and bath company, the first hotel corporation in Switzerland. 1908 Establishment of the Company “Chemin de Fer Electric Leukerbad” (village population: 619). 1909 Opening of the electric powerstation at « Dalaloch ». 1915 Inaugural trip of the electric train to Leukerbad (1915 = 5’624 passengers). Establishments of the agency for tourism, cures and sojourns. 1940 35’544 overnight stays (village population: 514). 1948 Construction of the first ski lift (Obere Maressen). 1950 53’684 overnight stays (village population: 505). 1951-1953 James Baldwin the writer from Harlem, N.Y. stays at Leukerbad. 1957 Construction of the Gemmi cableways (enlarged in 1974). 1958 The citizens decide against the construction of baths for themselves in favour of a rheumatological clinic. 1960 206’018 overnight stays (village population: 619). 1962 Construction of the institute for Paraplegics (Today: Rehabilitationszentrum Leukerbad). 1967 The train makes his last trip, bus service is started (159’372 passengers carried). 1968 The town development plan is approved. The outdoor municipal baths are opened. 1970 650’186 overnight stays (village population: 1’056). 1979-1980 Road construction with Albinen. Open all year (via Tunnel): construction of the purification plant. 1980 Opening of the thermal baths complex. 1981 1’033’318 overnight stays. Village population: 1’109. 1984 New traffic regulations forbid night driving in town. 1989 Completion of the 3rd phase of the new baths of the citizens society (Burgerbad). 1990 Opening of the sports centre, 75th birthday of Leukerbad Tourism. 1’094’531 overnight stays. 1992 The Swiss Chess Championship is held in Leukerbad. 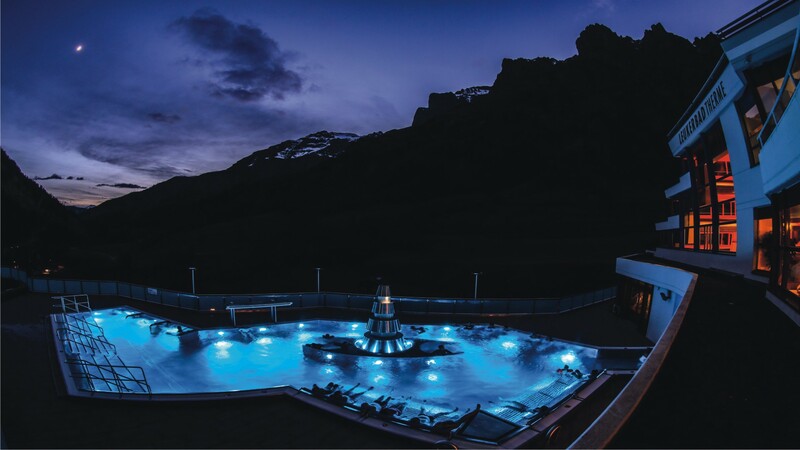 1993 The St. Laurent Alpentherme 51°C opens (spa with thermal baths, Roman-Irish baths, treatment department, shopping street, bistro, tea room, nightclub, bank, estate agent, corner shop, pharmacy and much more). European Curling Championships are held in the Sportarena; the Klinik SVK is refurbished. 1994 Parking guidance system installed, fixed barriers / new traffic regulations, construction of village hall. Local Ring-Jet buses no longer free of charge. European Alpine and Nordic skiing championships for railway employees. 1’102’713 overnight stays, 1’500 inhabitants. 1995 Inauguration of new village hall on 22 September 1995 (contains the municipal authorities, transport office, post office, police station, telephone services, LLB bus station, Füeg watchmakers, apartments, immigration authorities and the civil registry office). 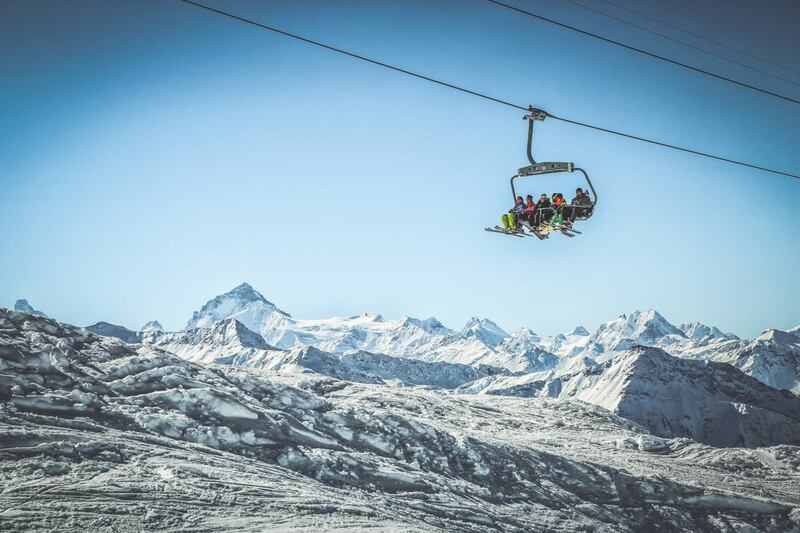 New six-person gondola lift from Flaschen to Rinderhütte completed. 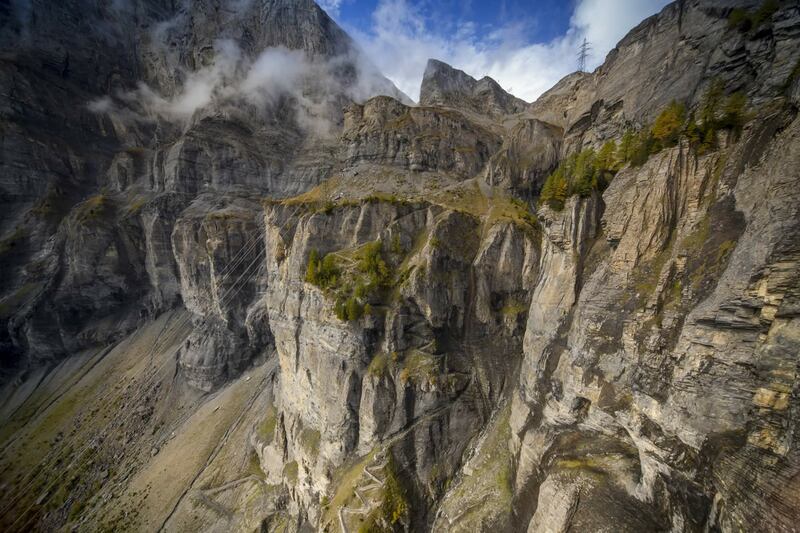 1998 Daubenhorn via ferrata opens. Leukerbad municipal authorities found to have invested too much in holiday complexes. 1999 Major landslide in Pischür on 25 February. Property damage in Noyer. 2000 Hotel Maison Blanche – Grand Bain, De France and Alpentherme spa become part of the German hotel chain, Lindner Hotels & Resorts. 2001 Celebrations to mark the 500th anniversary of local church community and spa tourism. 2002 The hospitals are merged. The rehabilitation centre runs both hospitals as an independent organisation. December: municipal authorities move to Schulzentrum. 919’560 overnight stays. 2003 Founding of Thermalquellenzunft (thermal springs guild) and opening of thermal springs trail. Village square is redesigned. Chairlift from Daubensee to Gemmi pass replaced with a cable car. 2004 Thermal springs path opens. 877’967 overnight stays. 2006 Gigathlon stage finish. July: the neurological rehabilitation unit moves from the “neuro building” to the main building. 857,486 overnight stays. 2008 September: Lämmeren glacier trail opens. Obere Maressen chair lift closes after 21 years of service. New Rinderhütte-Schwalbennest six-person chair lift. Renovations at Lindner Alpentherme: new indoor and outdoor pools, restaurant made accessible from the spa, sports pool replaced by 300 m2 Valais Sauna Village. Renovations at Burgerbad: new tube slide (120 m) and the first “x-tube” water slide in Switzerland (100 m). Old train station converted into a museum. 1,800 inhabitants. 2009 The six-person detachable chair lift in the Torrent winter sports area goes into commission in winter 2009, replacing two ski lifts. A few piste corrections were also made, resulting in the creation of another blue run. Miss Switzerland 2006, Christa Rigozzi, becomes the official ambassador of Leukerbad. 868,192 overnight stays. 2010 Dart European Championship in Leukerbad. Complete renovation of rehabilitation centre. 2011 The 111th Swiss Chess Championship is held in Leukerbad. Construction of the viewing platform on the Gemmi. Inauguration of Switzerland’s first adventure via ferrata on the Gemmi.